Manual therapy, medical massage, sports massage, deep tissue massage are all services we provide to help relieve your pain and prevent further injuries. are about your injuries, your recovery, your pain relief and prevention. Manual Therapy is designed to address acute and chronic conditions. We include joint manipulation, soft tissue mobilization and medical massage. We apply trigger point therapy, myofascial release, stretching and Hot/Cold packs therapy to release the affected area to restore joint function, mobility and muscle balance. Our rehabilitation massage program consists of various modalities to address chronic muscle pain and tension. Included are Deep Tissue, Trigger Point Therapy, Orthopedic, Myofascial Release, stretching, hot and cold applications as necessary and appropriate. TheraQuest provides a sports massage program that is designed to support your athletic training, reduce muscle soreness, improve flexibility, and reduce the risk of injuries. The techniques used are a combination of Deep Tissue, Orthopedic, Positional Release, stretching, rebalancing, neuro-reeducation, hot/cold applications and kinesio taping if needed. chronic muscle tension from everyday stress we face everyday. Note: All packages are prepaid. Our Kinesio Taping Program is designed for athletes to alleviates pain. It facilitates muscle function and lymphatic drainage by microscopically lifting the skin to speed up the healing processes. The methods we provide are used in many professional arenas including the Olympics. Kinesio taping is used for a lot of athletes common injuries such as shin splints, ankle sprain, rotator cuff, tendonitis and more. Please inquire and we will assess your condition. 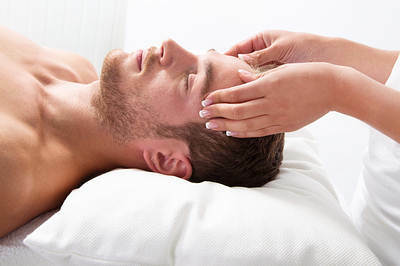 Did you know that your auto insurance will pay for your massage treatments after you’ve been injured in a car accident? New York State is a NO-FAULT state!